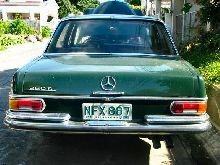 Mercedes launched an updated 300 model in 1965, the 300SE. The 300SE featured the latest saloon shell with the Mercedes "family" styling cues shared with some of the lesser models in the range. The 300SE had a 3.0 litre, fuel injected, straight six engine measuring 2996cc. 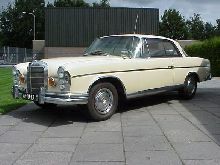 As before, Mercedes also included an attractive Coupe version of the 300SE which had pillarless side glass and two massive doors. Like the saloons the Coupe was well equipped and built to the highest standards. 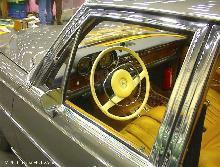 Production of the 300SE Coupe continued until 1968.